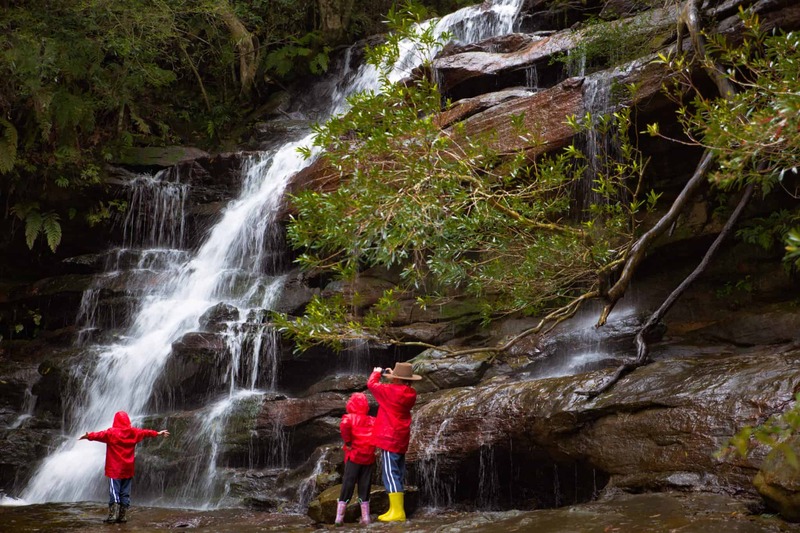 Discover the beautiful Somersby Falls, Central Coast. One of our favourite waterfalls in Australia. Bellbirds whoop and you feel a million miles away from the hustle and bustle of coast life as soon as you enter the cool, lush rainforest that is home to Somersby waterfalls. 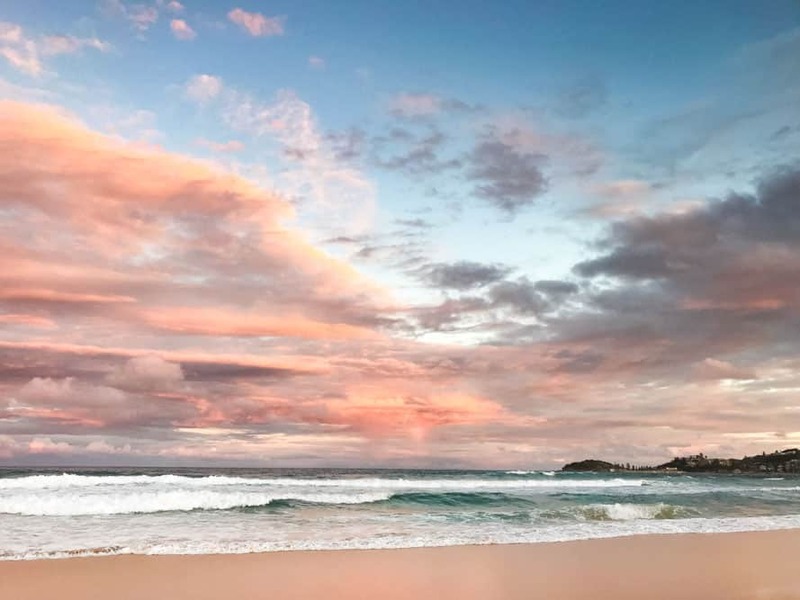 Located in Somersby, Australia it is a beautiful place to spend a few hours if you are staying on the Central Coast. 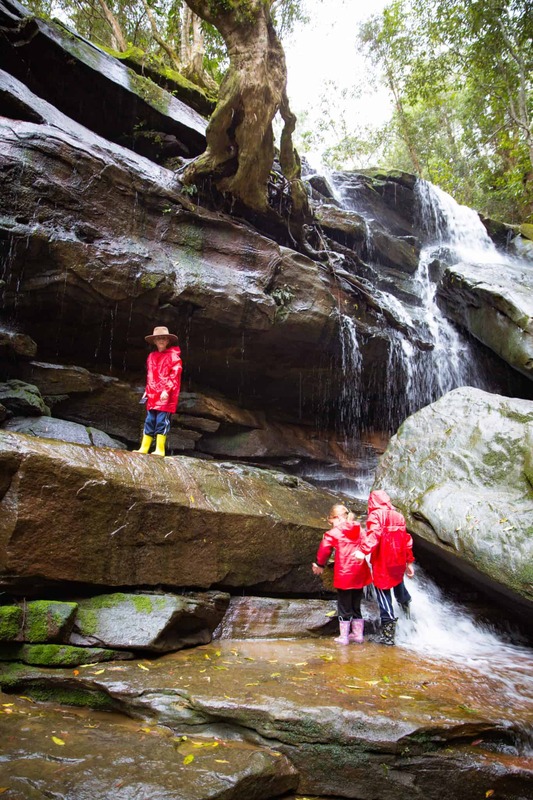 Somersby Falls is one of our favourite places to visit on the Central Coast. If the Somersby weather is putting on a show it can get quite busy on warm, summer days as locals cool off in the waters. We think the best time to go here though is when the rains hit or just afterward. Perhaps not the best time if you want to make the most of the free barbeques and picnic tables. It is, however, the perfect adventure to see the falls at their best and most impressive. 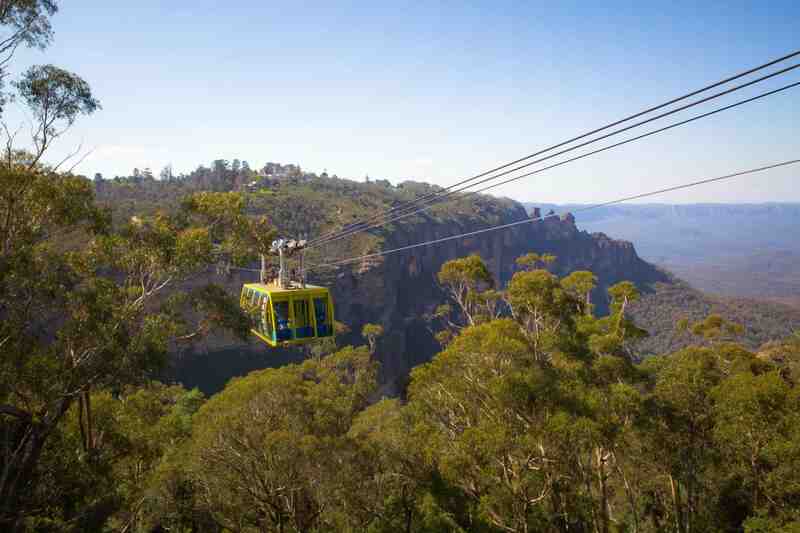 Located in Brisbane Water National Park, on the beautiful Central Coast, NSW. It is only a 500-metre round trip to visit both waterfalls from the picnic area. You can do this walk in as little as 20 minutes, but we recommend longer to explore and have fun. Although only a short distance, the track has been graded as a medium to difficult by National Parks. Even in dry weather the steps down to the falls are steep and can be slippery. Having said that our three children have managed the walk many times from a young age, just needing a helping hand occasionally. 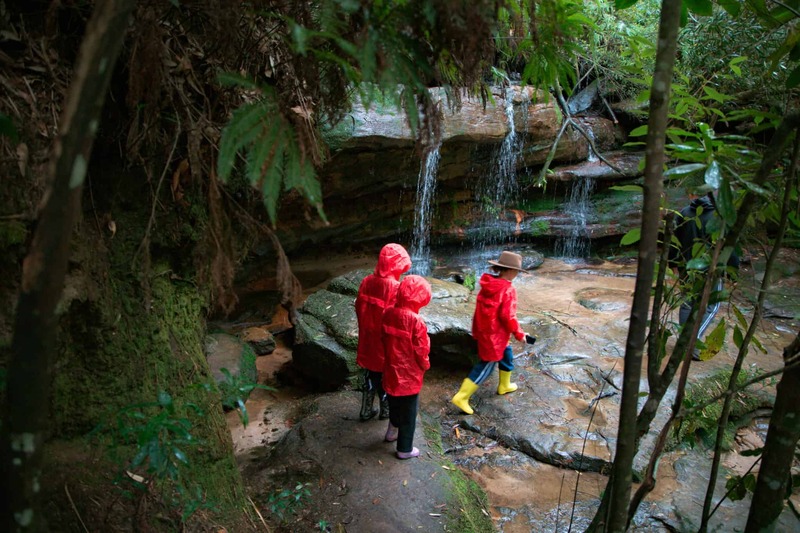 With original names like the Top and Bottom Falls, Somersby waterfall and surrounding rainforest hold lots of things to investigate and explore. Wildlife is abundant here too. We have been lucky enough to see bush turkeys, lizards and even a snake basking in the sun on a rock during our trips. 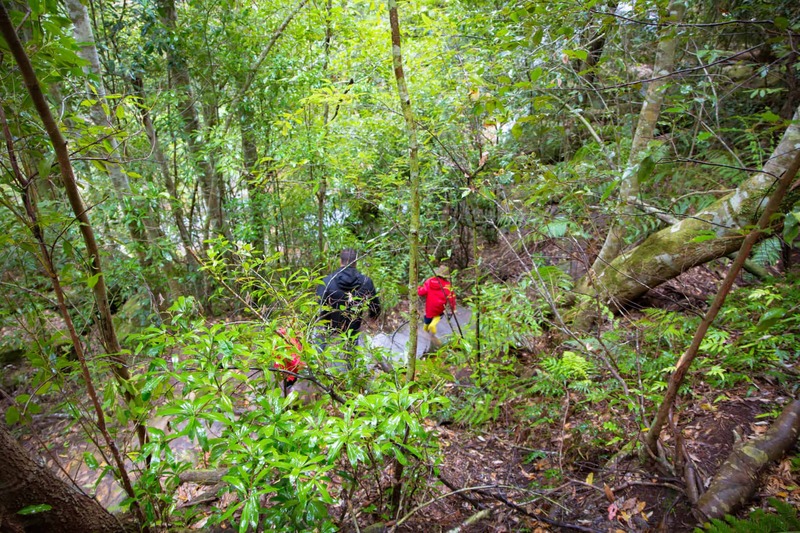 The Top Falls are only 100 metres from the start of the bush track. This is the largest of the two falls, there are no fences so you are free to clamber along the falls…and like our children love to do, go for a splash. This part of the walk is more challenging but worth the effort. We usually find that fewer people explore the lower falls. Giving lots of opportunities for the children to roam free and find all sorts of treasures from frogs to huge puddles to splash in. Clothes that they can get wet, a change of outfit for the car trip home and gumboots are a must. It is also important to watch children carefully at all times. As stated before there are no safety fences and some of the drops are very deep. 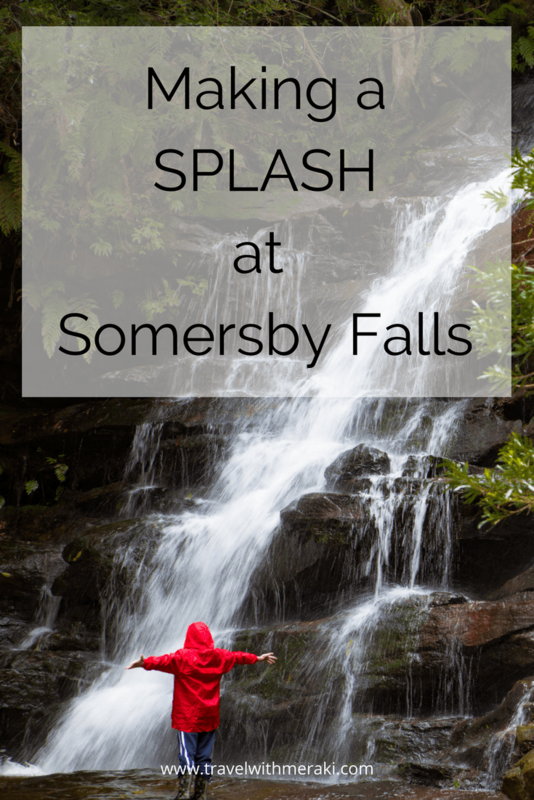 Somersby Falls is a great outdoor activity for all ages. 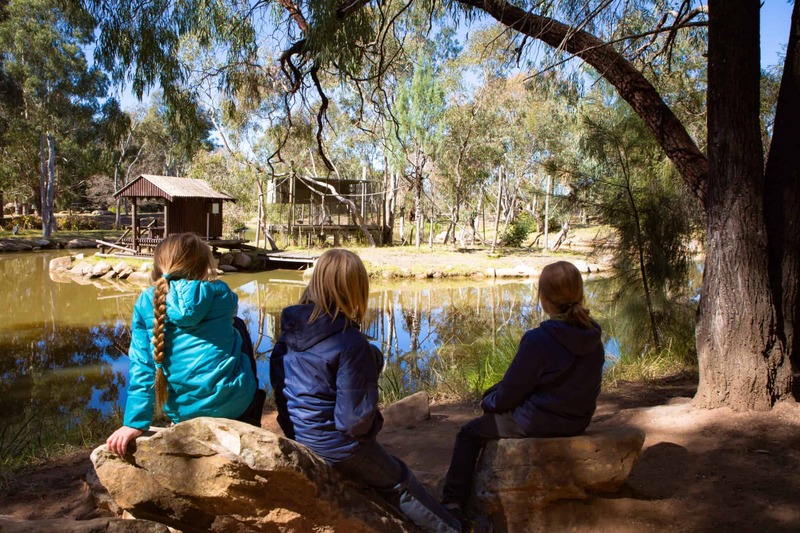 It is also the perfect spot to enjoy a picnic lunch at the Somersby Falls picnic area. There are no nearby cafes or places to purchase food and water so make sure you pack all your supplies. As well as picnic tables you will find free BBQ facilities. If you love photography it is a great place to experiment with some long exposure shots with your camera. Make sure to bring your tripodand ND filtersalong to get the perfect captures. 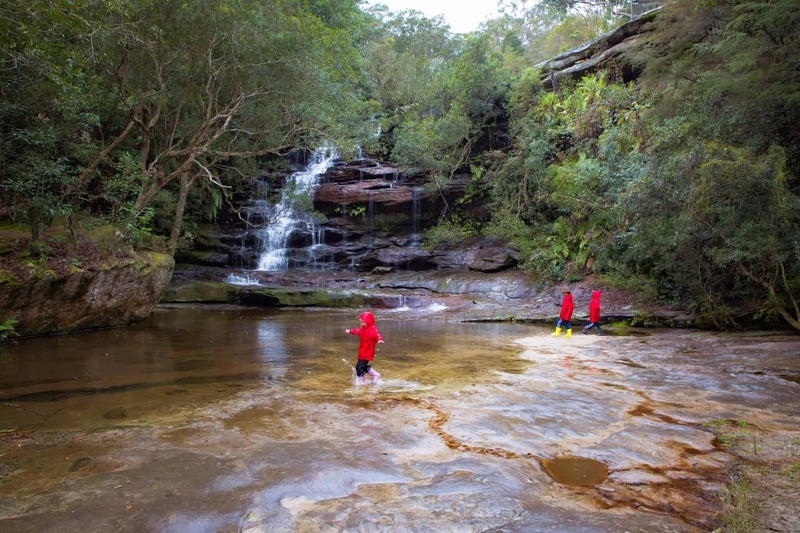 Where is Somersby falls NSW? Somersby New South Wales is about an hour north of Sydney. Located near Gosford. Exit the M1 at the Gosford Exit. Then turn onto Wisemans Ferry Rd. 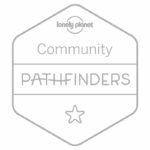 Take the second left which is Somersby Falls Rd and follow until you reach the picnic area. The carpark is open at 9 am daily. Although entry into the National Park is free, there are parking metres for the car park which was AUD$8 at time of publishing. Alternatively, you can park on Somersby Falls Rd and walk in. 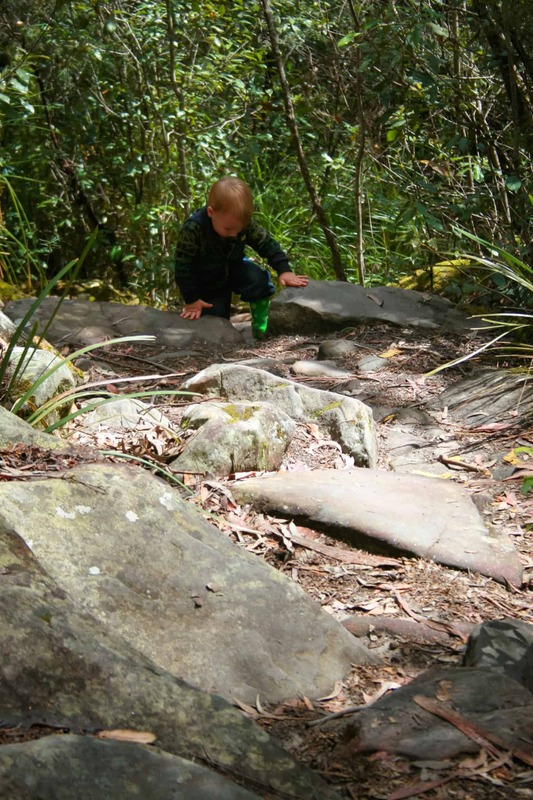 Other things to do on the Central Coast include the Reptile Park Somersby and Girrakool Loop walk. Or you could explore the other waterfalls at Central Coast NSW like Strickland Falls. Looking for somewhere to stay during your visit? Check out great deals for accommodation on the Central Coast here. 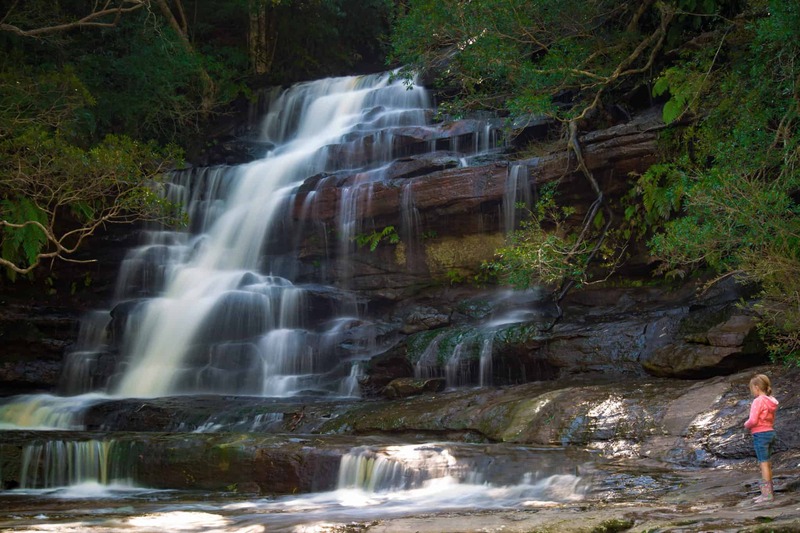 Somersby Falls, a local favourite on the Central Coast, NSW.